Gul Ahmed is a famous textile group in Pakistan. Recently, they have launched their fashion label Ideas by Gul Ahmed, in which you will find clothes, foot wears, hand bags and matching accessories. 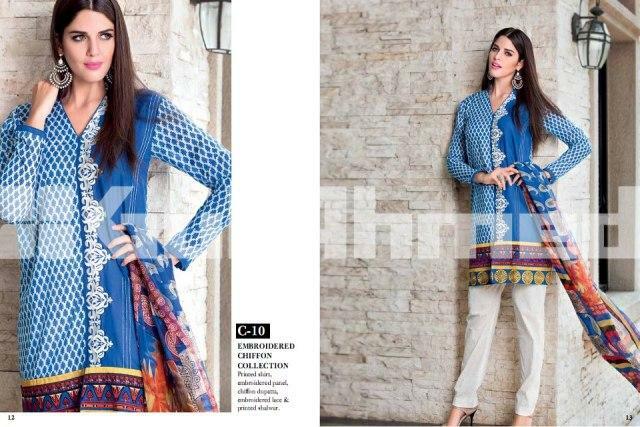 Gul Ahmed launches the Original Lawn Collection 2013 for women. Gul Ahmed original lawn collection 2013 has consists of long and shorts both type of shirts with trousers and churidar pajamas. Each and every dress of this collection has fully embellished with lovely prints and embellishment of little bit embroidery has make these dresses beautiful and elegant.